Can I improve on the "No S" diet? After nearly two months of the “No S” Diet I find myself only a pound under the weight I started at. At the start of the diet, I experienced a rapid weight loss of 7 lbs, followed by a long plateau. This then gave way to a gradual increase in weight again. During all this time I have kept pretty closely to both the letter and the spirit of the diet. So it doesn’t seem to be working for me. Do I give it up, or start adjusting it to see if I can make it work? Needless to say, as an inveterate “improver” of other people’s ideas, I am going to try and make it work better for me. In many ways I like the diet. It is easy to keep to, and the principles are sensible. I think the problem lies (for me) in the special days and weekends in which the diet doesn’t apply. I have a fairly high level of socialising at weekends, which is only going to get worse (from the diet point of view) as Christmas approaches. So can I manage the seemingly impossible - to have an effective diet while at the same time not depriving myself unnecessarily? I think I can. Anyway, I’m going to give it a good try. The aim is to lose 1 lb per week. In order to do that I weighed myself for the first time this morning (Monday). That is the initial weight. I will then be weighing myself every morning. Tuesday, Wednesday and Thursday the target weight is half a pound less than the initial weight. Friday, Saturday, Sunday, and the following Monday the target weight is one pound less than the initial weight. Then on the following Tuesday the target weight drops by half a pound again, and so on. My aim each day is to be exactly on the target weight, neither above nor below it. Each day I am above the target weight I add one rule; each day I am on the target weight I keep the same set of rules; each day I am below the target weight I can take one rule off. What I hope is that I will find a combination of rules which will allow me to lose weight steadily with a minimum of suffering. I am also hoping that skipping meals will be a deterrent rather than something that actually has to be done! I want to emphasize that this is something I am trying out, not something that I am recommending. You are welcome to try it out with me, but if it doesn’t work don’t blame me! However I think it has a nice balance of carrot and stick. I weighed myself this morning to establish my baseline (B). Tomorrow my target is (B - 1/2) lb. For today I have no rules to keep to. Great! Where’s that choccy cake? Having bought a new set of bathroom scales, I am now decreasing my target weight in increments of a quarter pound instead of half a pound. That means that the target weight decreases four times a week instead of twice. Otherwise the method remains exactly the same. 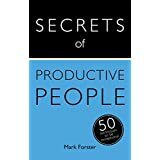 I'm reminded of your recently reposted article, clear goals, or goals for clarity: and I'm not sure if of your aim within this exercise. Thanks for the site reference, Iwan. I'll check it out. Not sure why you think my goals aren't giving clarity in this particular case. 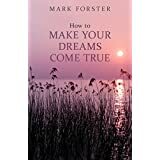 Apart from the obvious aim of losing x lbs in x weeks, I also have the aim of finding simple and reliable methods of providing a framework for one's life, which keep one in good health, wealth and happiness with the minimum "friction". I'll be blogging more on the subject of life framework in the next few days. I'm doing something somewhat similar but slightly more complicated (it takes into account both diet and exercise) and so far it's been working fairly well. I'm down about 20 pounds (but I have much more to lose than you do). My only suggestion would have been to start Day 1 in the middle of the spectrum (between No sweets and small helpings), rather than all the way at one end of the spectrum. That way you would have a direction to move whether you gained or lost weight that first day. I don't have the resolution on my scale to try your modification. Instead I'm going to work on smaller portions - I still find myself feeling more than full half an hour after I eat. Also, I'm going to revisit and review the No S site. I was motivated after reading it the first time, and I've probably overlooked a key idea or two. Hi, Andrew, thanks for your comment. Yes, I considered for quite a time how many rules I should start off with. In the end I went for starting with a clean slate, on the principle of why make life more difficult for oneself than one needs to. But I wouldn't quarrel with anyone who started with some rules in place. Exercise of course plays a part in that the more exercise one takes the less rules about eating one will need. Zane, there's nothing magic about half pounds. I intend to use them because my scale (a digital one) shows them. You could just as easily drop the target weight a pound at a time once a week instead of half a pound twice a week. Also I have put the rules in ascending order of difficulty for me. There's nothing to stop you putting them in a different order if you wish, e.g having "small portions" as rule number 1. I knew a guy who always struck us at work as anti-social. But he said the problem was that most eating is social and if he's around people, he eats too much. If he stayed in his office, he was able to control what he ate. And I must say, he was always quite trim. I don't want to give up socializing but I also can easily park myself at the desserts platter and not leave. I wonder if a simple rule of "try 1 and only 1 of everything" and "if I feel hungry, drink my seltzer water first" would be helpful to me as we move into the holiday season. My informal rule when I feel myself getting heavy is to move to salad/cooked veg mode. Instead of ordering a fast food sandwich or burger, order a pre-made salad. My default salad is caesar salad with grilled chicken breast or just a plain caesar. If I'm at a cafeteria and hot food is available, I get a hot veg plate (2 or 3 sides) and a grilled chicken breast for protein and satiety. Boring, but it works pretty well (*if* I stick with it!!). Well, I have been doing the No-S (based on your recommendation) and am finding that it works very well for me... but... I already had some "eating rules" in place that support it. 2) Eat "whole foods." I do that anyway, so even if I eat more at meal, it's SO much healthier than snacks! A normal plate is 1/2 veggies (any mix of regular ones - not drowned in sauce/dressing), 1/2 lean protein, 1/4 high-fiber carb (barley, brown rice, etc.) Works very well. 3) Along with that... eat high-fiber foods. Just good for you. And then, of course, exercise plays a BIG role, as do "S-day excesses." I find I lose more slowly if I don't exercise (surprise, surprise! ), and if I go overboard. Hanging out on the No-S bulletin board helps. Some folks treat their S-days as a 1-S-Day (or some other number)... not unlimited snacks, sweets, seconds, but SOME defined amount. Anyway... the beauty of No-S is that you can tweak it until it works for you. Good luck in your efforts! NEVER SKIP MEALS! All this does is slow down your metabolism and tell your body to conserve its fat stores. This is not a resonable modification! Where is something like: walk 15 minutes each day, walk 30 minutes each day, jog 3 minutes and walk 12 for 30 minutes, etc? Speeding up your metabolism will help you burn more fat; denying your body of fuel most certainly will not. Eat fruits and vegetables at every meal. Eating 3 times a day is good for many; some need to eat 5 small meals to not be hungry. Please don't punish yourself! Weigh once a week. I am not 100% sure of the source, as I no longer have my copy. I remember the method, though: you create a graph with time on the X axis and your weight on the Y. Draw a straight line from your current weight (today) to your desired weight (x weeks hence, where x=number of pounds to be lost). Each day, weigh yourself and plot the point on the chart. Adjust your diet depending on whether your real weight is below or above the straight line. In Jadi's post above there is a lot of "diet" wisdom, but not a lot of scientific wisdom. We sometimes hear things so much that we think these things have been proven scientifically when really they're just something like old-wive's-tales that have morphed into "common sense." Skipping meals does not put your body into "starvation mode" and the effect on your metabolism is negligible.Of course, if you were actually starving your metabolism would decrease but that's because you would have lost so much weight, and the less you weigh the lower your metabolism is. Being hungry isn't a bad thing. I tried the No S diet for about three weeks, and ended up gaining about 6 pounds. I am interested in the improvements suggested for it. My scale doesn't show the half pound so I would have to do that a bit differently. I did actually try an experiment today, before I had read your article, I fasted from around 9.00last night until about 5 tonight, I wasn't even that hungry, and I didn't start feeling sleepy at work this afternoon. I do go running, so I need my energy, but I don't see how missing the odd meal would hurt. Thanks, John. That is indeed the book. Sadly it doesn't seem to be still in print which is a great pity as, in addition to the diet advice, it has a great exercise program. Morehouse was the author of the Encyclopedia Britannica article on sports medicine.. I'm horrified to see that the book came out 30 years ago, and as I bought it when it first came out I underestimated how long ago I did the diet by 10 years! Thanks for your comments, Jadi. Skipping meals is otherwise known as fasting and has a long and honourable history. In the days when I was young and poor, I skipped loads of meals - and I certainly don't remember that making me fat! About 250 calories less per day should lose you roughtly 1lb a week with no need to fast. The only work invloved is recording your calories eaten and burned, something you can do easily with a service like www.fitday.com or www.thedailyplate.com (I'm not affiliated with them in any way and its a free service). I gave the "Total Fitness" book to my father a long time ago. I will see if I can find it when I visit my parents in a few weeks' time. Hi Mark - I started on NoS after you mentioned it in one of your emails and I'm down 9lbs in 3 weeks. 1. One of the rules is "Except SOMETIMES on days beginning with S". Many people on the discussion boards at NoS seem to struggle with this (admissions of eating entire cakes, litres of ice cream, trays of brownies etc,) but it's really simple - if you eat and drink too much, even if socialising is your excuse, you're going to put on weight. So notice what's working and what's not and work out what "sometimes" means for you. This is probably one or twice in a day - not a blow-out. 1. You'll eat a sensible portion. 2. You'll be compelled to ensure that your plate is stocked with good quality nutritious calories, not mountains of roast potatoes. I don't think you need any more than the 4 basic rules providing you understand the details of the principles. I'm assuming of course that you're continuing to walk everyday - as you tell us in your books. Hi, Gareth. I'm glad to hear of your success with the No S Diet. The trouble for me was that I kept to all the points which you make and still found myself putting on weight again. I certainly didn't binge at weekends. As I said in my posting, I kept to the spirit as well as the letter of the diet. Strangely enough with no rules at all over the last five days, I have managed to keep to my target weight. There is a book called Total Fitness in 30 Minutes a Week by Morehouse and Gross available from either Amazon Marketplace or eBay. That's the one, Liz. Unfortunately it's not still in print. If you do buy a copy, try the exercise program too. Like the diet, it makes things as easy as possible, but is very effective. Morehouse was one of the top experts on sports medecine. I think he's still alive, but in his 80s now. 1- start first with more action --work out how many hours you watch tv. in a week .use 2 of these hours to walk dance or go to a gymn. This will make you feel good ready to tackle anything. 2 Educate yourself where the fat is in your food. without worrying too much . you can make all your so called mistakes when you eat, as usual --but you will still lose weight if you get the hang of doing what i have written here. Thanks for sharing your way of healthy eating, Lynda. I appreciate that it has worked for you, but I think the trouble with this sort of approach for people who have tried many diets is that it is just too many changes in one's lifestyle all at once. Two hours' exercise a week for instance would be a great way to lose weight and very good for you in many other ways, but how many people are going to be able to keep to it? There is a psychological problem I think in combining exercise into a diet program - if you fail to keep up the exercise the rules about the food tend to go out of the window as well. I'm not trying to suggest here that you shouldn't exercise - if you do, it will make any diet (including mine) easier, but I don't think it's a good idea to make the exercising actually part of the diet. For instance it was easy for me today to keep to the rules about food that I had in force, but there was absolutely no possibility of my doing any exercise. Sorry for not producing the book "Total Fitness in 30 Minutes a Day" as promised on 7 December. I could not find it during my holiday visit, but it may yet turn up. I havent read all the replies here but just wanted to post about my experience. A few years ago, due to poor health/poor digestion it was recommended to me to practice seperating different food types. You're not supposed to mix the different categories. I'm not saying this is easy - it's often a pain but after years of trying I've gotten to the stage where I realise it works & if I change these habits my stomach complains. Weight isnt a problem i have but this theory claims that poorly combined foods is a major contributer to putting on weight. Thanks, John. I'll might see if I can get hold of a copy myself - or I might even be able to find my old copy - I don't remember ever getting rid of it. Thanks for sharing about food combining, Tom. I tried it myself about 10-15 years ago. I did lose quite a bit of weight but found it just too much trouble to keep up in the long term. I have one suggestion - something which happened to me almost by accident. I recently put on a lot of weight - following illness. Unfortunately, I found that most of it seemed to get concentrated only in my thighs in the form of fatty tissue, rather than being distributed accross my body as I would have preferred. Just as I was starting to worry about that, I found myself without a car for about ten days. Rather than rent, I decided to experiment getting round without a car. So, instead of driving to the nearest supermarket/hypermarket, I walked to the neighbourhood grocer instead. In the same way, I tried to find ways of doing things nearby. By attempting to walk wherever possible, the concept of nearby also changed. What seemed to be miles and miles away, was actually only 15 to 30 minutes walk. In a week, I not only lost 4lbs, without any change in diet or visits to the gym, but I lost all of my cellulite! Additionally, I feel stronger with more energy. So, my suggestion is, why don't we ditch the car sometimes and walk. The few pounds we might save by shopping at the hypermarket might be offset by improvements in our health and savings on gyms/etc. Although I expect to have my car by tomorrow, I plan to introduce at least 15 to 30 minutes walk into my schedule every day. I have not renewed my newspaper subscription so that I have to walk to the nearest kiosk. Also, every-day groceries will come from the grocers, giving me a reason to walk a little. Plus, I get to chat with my neighbours and socialise a little too! Thanks for the comment. Yes, I entirely agree with you. Taking plenty of exercise is a thoroughly good idea, whether or not one is trying to lose weight. And something as simple as leaving the car behind can be worth a lot more (and save a lot more money) than taking out expensive gym subscriptions or buying the latest exercise machine. I have three comments about this diet idea. The first is trivial, but important: I really like it because it makes a lot of sense to me. It looks as though it would gradually teach you to take corrective action when your weight is not what it should be, which is an approach that you can continue once you reach your desired end-target weight. I adapted it for my circumstances (replaced no sweets with no slurps -- alcohol) and am following it. So far so good, but only five days. Which brings me to my second point. You mentioned that you hadn't got a name for the diet. It seems obvious to me that it should be the "Feedback Diet". For more than one reason. Finally, it occurred to me that it might be possible to take this approach with other corrections to individual personal behaviour. 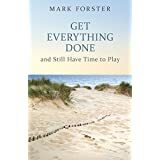 I have a problem with remaining focussed on my work, and I believe I have an approach that will gradually train me to be able to concentrate for up to an hour at a time, for a total of five or six hours per day. I'm quite excited about its prospects, but I haven't tried it yet, and wanted some more evidence of its efficacy before actually describing it. Happy to provide details by email, if you're interested. Actually I have been thinking of calling the diet "The Carrot and Stick Diet", which is not intended to give the impression that it involves eating nothing but carrots and sticks of celery! It's a very similar idea to yours of "The Feedback Diet". Yes, I'd like to hear your ideas about how to improve focus and concentration. I have been wondering myself how the principle behind this diet could be applied to other things as well. I have read many of the comments on your diet plan with interest. Chris makes some interesting points about how we correct our personal behaviour succesfully and that if it is in small steps it is inclined to work.Your "Carrot & Stick" diet replicates that and so is inclined to be more successful than some other "quick fix" diets. One way to help introduce this "small steps" approach is with starting to exercise. Gradually introduce exercise into your daily routine first rather than just go out and join a gym. Its cheaper and more effective. All the ideas below are great and require no financial investment and asssume you do not have any mobility problems or health conditions which preclude this approach. Walking to the local shops or post office is good, walking to the bus stop and then the next bus stop ( if you are in a town or city)can work too. If you drive a car and park as near to work, the supermarket, shops as possible, why not deliberately park slightly further away each time you visit and walk to the front door. If you have a lift / elevator at work, and you work up to 3 floors or less up, take the stairs each day. Hard to start with, but you don't notice it by the second week. If you move between floors at work as part of your job, unless you are carrying anything heavy, take the stairs. All these "small steps" add up (a pedometer can tell you how many and are very cheap to obtain). One small point to your diet rules.I would personally advocate eating only fruit rather than missing a whole meal as we get older.Yes, you can skip meals when you are young because your body is burning up and refuelling with so many calories, it doesn't matter too much. But why starve unless you have to? We need fibre and simple sugars regularly as we get older, and eating fruit does this, with no fat, no processed sugars, and no harmful additives.Eating fruit won't make you fat (you will get full first) and will give you more energy too. If you have trouble keeping the no snacks rule, fruit can help here too. Personal behaviour change by small steps is the most succesful way we change anything harmful to ourselves, such as excessive eating or drinking, even smoking and drug abuse, unless you have an epiphany, are naturally obsessive, or want to go cold turkey! Our brains will reject the quick fix diet approach or quick change in habits when temptation comes along, as we will convince and trick ourselves that if we slip, we can fix it again quickly. We fool ourselves with this learned behaviour if we believe it is possible. New habits take time (28 days to form a habit is true). Introducing small behaviour changes create new helpful habits, (we learned the less useful ones slowly after all) and these new habits are more inclined to stay with us in the long run. Thank for the interesting site and contents, and good luck with the diet. I should like to add something to Robin's comment about introducing exercise into your life using Mark's method. 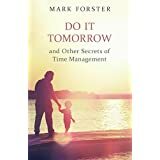 I think the point about Mark's method that is so effective is that there is a MEASURABLE QUANTITY that you are trying to hit EVERY DAY, and that if you fail on any day, the correction that is needed to help you hit it again tomorrow is DETERMINISTICALLY calculated. 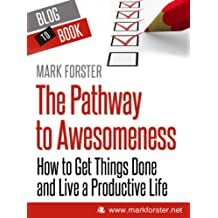 So one way to apply Mark's method to adding exercise into your daily life might be to buy a pedometer, and aim to increase the daily step count to 10,000 over a period of a few weeks or months. If you fail one day, then you could insert a reminder to check progress at lunch time, giving you an opportunity to build the daily total during the day. The equivalent of adding rules would be adding more reminders during the day. It surely wouldn't be that hard to take a turn around the block once an hour for five minutes, would it? But the key is that each new rule added makes it easier to achieve the daily goal, and the reasons for adding rules are deterministically calculated, and that the success criterion for the day is an objective one. "you create a graph with time on the X axis and your weight on the Y. Draw a straight line from your current weight (today) to your desired weight (x weeks hence, where x=number of pounds to be lost). Each day, weigh yourself and plot the point on the chart. Adjust your diet depending on whether your real weight is below or above the straight line." Mark deviates slightly from this: he weighs himself only twice a week. The book is full of common sense, better than I remembered, and many of the principles of the No S Diet and related Urban Ranger exercise method are presumably drawn from it. "You record your weight on the graph paper, either above or below the line. [Emphasis] You're not a hero if you're below the line. You're a hero only if you're on the line"
"The body will readily adjust to this moderate programme, and you'll feel neither starved nor driven ...The pound-a-week process is one to which you can become habituated." "The best distribution is a substantial breakfast, a moderate lunch and a light supper." On exercise, Morehouse advocates burning 300 extra calories a day. "This doesn't mean walking three miles continuously; it means walking them at various times during the day. He suggests a "minimum maintenance" fitness programme which uses opportunities to exercise in everyday life; walking short distances instead of driving, using stairs instead of the lift, towelling yourself vigorously after bathing and so on. Thanks for the quotes, John. However please note that I weigh myself every day, not twice a week as you say. It's the target weight that changes twice a week as my scales are accurate only to half a pound. This new concept of "no S diet" must have some merits...if we plan to go on a diet, we have to realize that it is until we see the desired result. No more and no less. Not sure what you mean by that, Pablo. A diet has not only got to reduce you to the desired weight but keep you there as well. I've stuck with Plain Vanilla No-S, and still like it. I'm glad your variant is working for you. The one thing that wouldn't work for me is the dependence on the scale for feedback. Yes, weight matters. However, it's not necessarily linearly-connected with behavior. My weight can vary quite a bit just due to fluid retention connected to my cycle. Or I can weigh more but be slimmer when I am exercising heavily, because I'm carrying more muscle and less fat. When I lose, I can be "good" for weeks and plateau... then suddenly have a HUGE drop. So, punishing or rewarding myself according to the daily reading of the scale would not work well for me. But everyone is different - glad it's working for you. I am a fellow dieter and was intrigued by your approach. After reading your rules, I don't think it would work for me though. I'm on WeightWatchers flex diet. I'd lost 30 pounds on it 3 years ago, kept it off for 2 years, then gained back 8 pounds in one year. Two weeks ago I went back on WW and lost 2 of the 8. Some thoughts: I was glad to read that losing a pound a week was healthy, as that is the rate at which I lose on WW (sometimes only 1/2 a pound during a week, but averaging one a week). One thing that works for me in WW is having to record points for everything I eat. The activity makes me very mindful of everything I consume. I find myself wanting to eat healthier foods. I also think it appeals to some compulsiveness in my personality. Your diet has many appealing qualities, but I don't think the "no" rules would work for me -- mainly, NO sweets, NO snacks. I like that WW allows these things IF you plan for them. That is, you get weekly bonus points to use and if you want to eat a hot fudge sundae you can, but other meals during the week would have to be within the guidelines. Another thing that troubles me a little is that I don't think your diet would change my eating behavior over time. I believe WW does that (hence the fact that I kept my weight at the same level for 2 years until the stress of a new job disrupted things). I assume the NO rules, for example, would stop after you lose your weight and invite a quick weight gain. Anyway, I think it's great that you shared all this with your fans and find it helpful to see that I am not the only one struggling with such things. Good luck! Thanks for sharing, and congratulations on your weight losses with WeighWatchers. 1) My diet does train you in better eating, because you tend to find your own level among the rules. This will vary according to metabolism at any given time. So when I first started out on the diet, I lost quite a bit of weight without any rules at all. Later on as things got more difficult, the number of rules adjusted automatically. 2) The intention is that once you reach your target weight, the diet method remains exactly the same except that you are no longer reducing the target weight. Once you're body has adapted to the new permanent weight, hopefully you will need only a few rules or perhaps none at all in order to maintain it. The diet will adjust automatically. One of my country's most respected (as a consequence of 'most mediatized') nutritionists has said in an interview that "the only diet that works is hypocaloric". And he also said that meals should be balanced. After seeing this, I gave myself only one rule for eating : Except breakfast, eat vegetables at every meal. What I found afterwards is that I progressively implemented your 4 first rules without even knowing: no seconds, no snacks, no sweets, small helpings. I even reduced my consumption of diary products, and naturally turned to yoghurts. I weigh myself every month, and I have lost 10 pounds since december. I have decided to let myself be pulled by healthy food, instead of pushing with too many rules. Anyway, your experiment looks great, and your rules seem reasonable, since I could implement them naturally. By the way, thank you for finally blogging. I ahve read your books, and your website looked... well... dead without a blog. Thanks for your comment, Laurent, and congratulations on losing 10 lbs! The rules are pretty sensible ones - most of them came from the No S Diet - and make naturally good eating habits. Thanks for sharing your experiences, or I may not have found such a sensible possible solution to eat more healthily and hopefully lose weight because of it! After losing 14 lbs with my modifications, I've found them too difficult to keep to and have gone back to the original No S diet, which seems to be working fine at the moment. Don't worry so much about weighing yourself daily. Weigh in once a week and leave it at that. NoS is designed to be gradual. It's designed to help you learn new habits for eating. Take a look at your plate. Is it the standard 13" plate or can you invest in a new set of 9" plates? You can fit considerably less food on teh 9" plates, and to your eyes, it still looks loaded up. How's your salt intake? Eating a lot of meat/fat? What about fruits and veggies? Watch the hidden sodium in flavorings and sauces. I try to keep my plate at 1/2 veggies or fruits, 1/4 carbs and 1/4 protein. NoS is slow, but sure. Sometimes I plateau for a month or more and then drop several. I've been noSing for 15 months now and have dropped 22lbs and 2 dress sizes. I'm not perfect and I still slip up from time to time (even for a week or more!) but the habits keep me on track and not at war with food or my body. It's completely changed my life for the better. Good luck on your way to success! I think different approaches suit different people. I re-started my own rules-based diet on January 1st this year and so far have lost 12 lbs. It's not a coincidence that today is 12 weeks after January 1st! I do note though that you are adding things to the No S diet, like watching certain types of food. My understanding of the No S diet is that it was designed precisely to liberate one from that approach. That's not intended as a criticism of the way you are doing it, just pointing out that it's not quite the No S diet. While I've lost 143 pounds doing my own calorie budgeting thing, I have found that my snacking has gotten really sloppy. As I approach a normal weight, I think it's time to get more regular in my eating pattern. The S Diet really seemed to fit the bill. I'm eating three meals a day, pretty sensible food, but somewhat larger meals than when I was eating 6 times a day. I don't think I'll go nuts on the S days. Definitely I plan to eat three regular meals, then perhaps some special treats beyond that. I'll probably stick to no seconds, because my stomach doesn't really need them (even when my taste buds might want them!). So I notice that I'm actually hungry physically by the time the next meal rolls around, which is good. I appreciate the larger meals. I eat much more mindfully, because I'm not eating constantly. So far, I'm liking this! Weight loss industry will focus on the way people should feel while doing it, in order to achieve better results and stay healthy all the time. Being healthy and thin is not a dream, it should be something, that is a reasonable and easy to be done. The modern obsession with a thin body is another problem that women face now a days. Women try everything in order to get this extra pounds off, things like pills, patches, diet, hunger, exercises and all kind of weight loss products. Some of them work, but others - not.